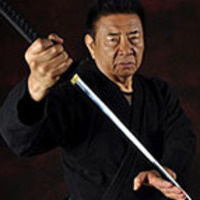 Sho Kosugi is an iconic martial arts and action movie star who introduced the concept of the ninja to western audiences through a series of martial art movies involving the ninja. With over 20 movies and television features in the U.S. and Japan, Sho is an actor, martial artist, fight choreographer, author and entrepreneur. He will discuss his journey showcasing how to navigate various endeavors. Pizza and soda will be served following the lecture. This event is made possible by the generous donors to the D.K. Kim Lecture Series. Co-sponsored by Asian Pacific Student Services/Ethnic and Intercultural Services, Asian and Asian American Studies, Center for Asian Business, Center for Entrepreneurship, Office for International Students and Scholars, School of Film and Television, and William H. Hannon Library.